Judæo-Spanish family-name, found as early as the twelfth century; derived perhaps from a place-name. In Spanish documents a Jafre Avinzabarre is mentioned, in 1258; and, toward the end of the thirteenth century, at Manresa, the brothers Ausch, Juçef, and Astruc Zabarra (or de Zabarra), and Mair Zabarra. A Juçef Zabarra is also mentioned at Besalu. 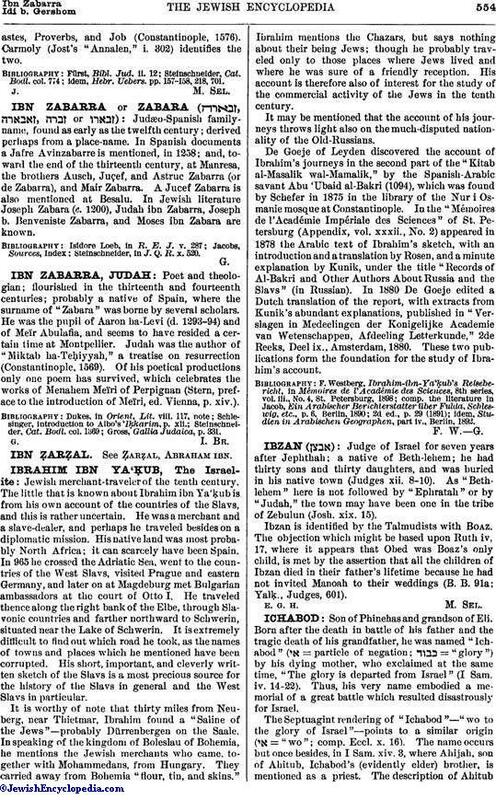 In Jewish literature Joseph Zabara (c. 1200), Judah ibn Zabarra, Joseph b. Benveniste Zabarra, and Moses ibn Zabara are known. Steinschneider, in J. Q. R. x. 520.